Many people these days are time poor. 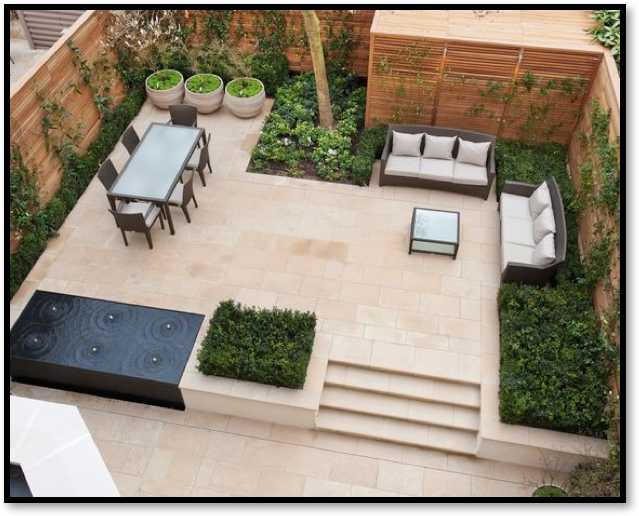 If they have a garden, they want to spend limited amount of time working on it but maximum time enjoying their outdoor space. Architectural gardens can be high maintenance. They need to look manicured at all times with hedges and topiary needing regular clipping. A no maintenance garden does not exist. 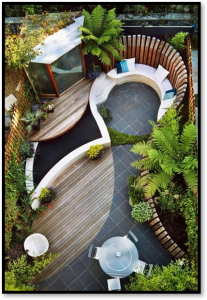 However, with careful consideration through the design process, time spent working in the garden can be limited. 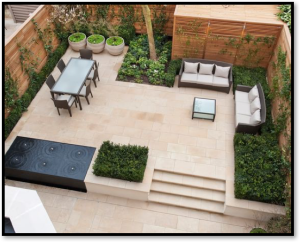 Think how much time you can afford to spend working on the garden, what features are important to you and what is not. A well kept lawn is hours of hard work. Apart from mowing there is scarifying and aerating. In addition there is weeding and feeding. Other considerations are how do you keep the children off the lawn when it is extremely wet? How do you keep the dog off the lawn when needs must, resulting in ugly burnt patches? How do you keep the lawn a rich emerald green during hot dry seasons? 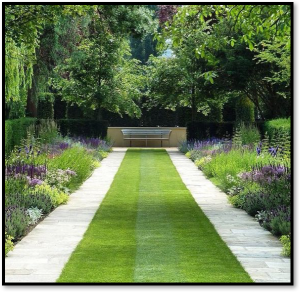 This garden is a great example where the owners have used an artificial lawn saving them time on maintenance so that they can concentrate on tending to their beautifully planted borders. Be more relaxed about your lawn and do not worry too much about some weeds growing in the lawn. If you want to create plant borders with lots of colourful herbaceous planting, bear in mind that herbaceous perennials will require maintenance in staking, dividing and weeding. 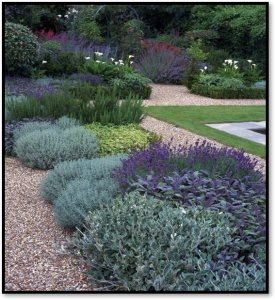 Instead, consider shrub planting using evergreen shrubs. There is now a wide variety of shrubs you can select from. Surround the plants with a good layer (5-7cm depth) of mulch. Mulch can be finely chipped pine bark, shingle or even crushed cockle shells. This helps to prevent weeds from germinating and reduces water evaporation from the soil. Choose your plants according to your soil type and the aspect and conditions of your garden. This planting border is lush with evergreen shrub planting. There is no space for weeds to grow and will require a clip once or twice a year making it very manageable. Decking does need to be maintained. It requires a pressure wash once or twice a year to clean off the dirt, followed by oiling once it is completely dry. Consider a composite deck that will require much less maintenance. Do you want to spend hours watering your garden? If the answer is no, then consider a leaky house irrigation system that can be linked to a timer. During times of drought, usage of this is not banned as the pipes are in contact with the soil reducing evaporation. Small gardens should never have a handkerchief size lawn. Opt for paved or gravel areas. The below garden is well designed. It has good choice of materials that include limestone paving and cedar slat fencing. The space is divided into practical usable areas. The planting is kept low maintenance. The garden is finished off with a beautiful but simple water feature.